A list of the most frequently asked questions in response those who need help protecting their families with North Carolina estate plans. When Does a Health Care Power of Attorney Take Effect? What Are My Responsibilites? A Health Care Power of Attorney does not take effect until the patient's attending physician determines that the patient is no longer able to make informed health care decisions and is no longer able to clearly communicate his or her wishes to health care providers. At that time, the physician will call upon the Health Care Agent nominated in the patient's Health Care Power of Attorney to make medical and health care decisions on the patient's behalf. If you are called upon to serve as Health Care Agent, you will be responsible for all decisions relating to my health care, long-term care, end-of-life care, and general well-being. In some instances, a Health Care Power of Attorney may nominate multiple individuals to serve jointly as co-Health Care Agents. If you are serving with a Co-Agent, then the Health Care Power of Attorney should provide specific guidance regarding how to proceed in the event that you and the other Co-Agent(s) disagree on a matter. Requesting consultations and second opinions. In some instances, you may need to consult with the patient's financial decision maker (Agent under the patient's Durable Power of Attorney and/or Trustee of my Living Trust) regarding financial feasibility of health care, long-term care, or end-of-life care. Write down the names of all persons consulted with in making a decision such as health care providers, attorney, or similar. How will this care option help the patient improve or feel better? What do you define as a successful outcome for this care option? What is the likely success rate? Can this care option be done on a trial basis and then be re-evaluated? If so, what is the appropriate amount of time for the trial? If the trial does not appear to be successful, are you willing to stop the care at that time? What will this care option mean for the patient's quality of life? What are the potential side effects of this care option? What care option do you recommend and why? A Do Not Resuscitate (DNR) Order allows a patient (or their Health Care Agent on their behalf) to refuse cardiopulmonary resuscitation (CPR) attempts if the patient stops breathing or the patient’s heart stops. A DNR must be obtained from a physician and is written on a special form. It is important to understand that a DNR only applies to the decision to withhold CPR and does not apply to other life-sustaining treatments. In North Carolina, this form is color-coded (large red text on bright yellow-orange paper) and should be shared with all of the patient’s health care providers and posted prominently in the patient’s place of residence, such as on the refrigerator, for Emergency Medical Services (EMS). In the absence of a DNR signed by a physician, if EMS is called, they will be legally obligated to perform CPR if the patient has stopped breathing or if the patient's heart has stopped. 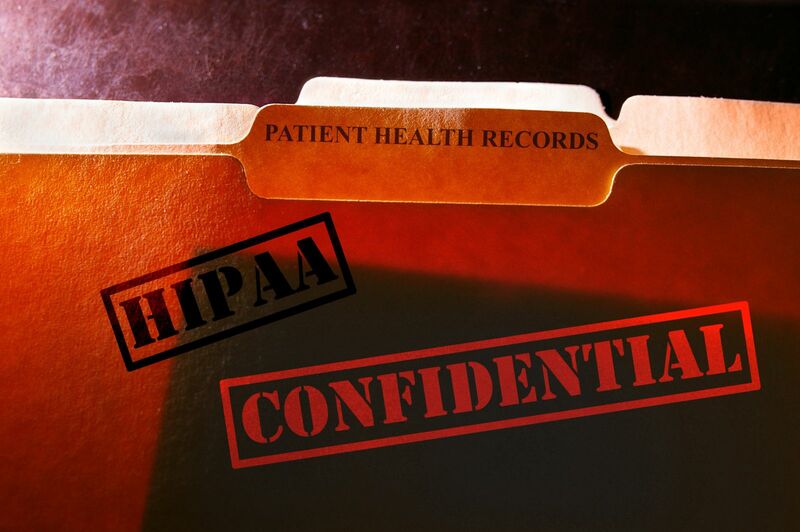 The HIPAA Privacy Rule under the Health Insurance Portability & Accountability Act went into effect in 2003 and includes strict rules prohibiting health care providers, health insurance providers and similar from sharing your health information—including prohibiting them from sharing it with your spouse or family in an emergency. While the law is well intended to protect our privacy, it has come with the tradeoff of creating cumbersome burdens for family members who may receive the ‘silent treatment’ from hospitals and doctors that will not speak to them. When you visit your doctor, you may be asked to sign a HIPAA form including naming an emergency contact. Many think that this is all that is required, but unfortunately, those forms give you a false sense of security. Those forms only apply to that specific hospital or doctor and some may expire after a certain period of time. For example, a while back we had a couple visit our office to update their planning. The wife had recently undergone surgery at Rex Hospital. When she had entered the hospital for her treatment, she signed the appropriate forms, including a HIPAA Authorization that Rex was authorized to communicate with her husband. Due to some complications that arose, the woman ended up being transferred from Rex Hospital to Wake Med. When her husband attempted to talk to the doctors and hospital staff at Wake Med they refused to speak with him. The forms that the woman had signed before the surgery were specifically for Rex Hospital and did not apply to Wake Med. In addition to issues with hospitals and doctors, HIPAA also can rear its ugly head when dealing with insurance and billing matters. If your Durable Power of Attorney or Trustee needs to contact the hospital with a question about a medical bill or if they need to change your health insurance plan, they also can get stone-walled by the HIPAA privacy rule. In addition to a thorough Health Care Power of Attorney and Living Will, we recommend that all adults have a standalone HIPAA Authorization that clearly authorizes your health care providers to communicate with your Health Care Agent, your Durable Power of Attorney, your Trustee, and any other family members or close friends you wish to name. Why Do I Need a Will or a Trust in North Carolina? In a previous FAQ, What Happens If I Die Without A Will?, I discussed North Carolina intestacy law and who would receive your property if you were to die without a will. Distribution of your estate without an estate plan is probably not what you would want to happen. The following are my Top 9 Reasons Why You Probably Shouldn't Rely On the North Carolina Intestacy Statues to Carry Out Your Wishes When You Die. Again, in many instances, unmarried persons would instead prefer to leave assets to their siblings, nieces and nephews, a friend, or a charity. Please note: North Carolina State Law does not recognize the concept of a "common law" marriage. Special Needs Planning, to make sure your loved ones are cared for when you no longer can provide for them. 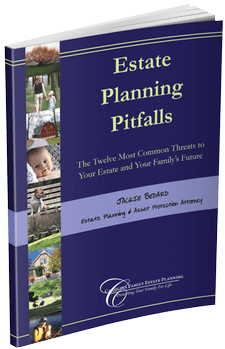 With Estate Planning, things can go very right... or they can go very wrong. For more information on how Carolina Family Estate Planning can help you get it right, call our office at 919-443-3035 to discuss next steps, contact us online, or reserve your seat at an upcoming seminar.